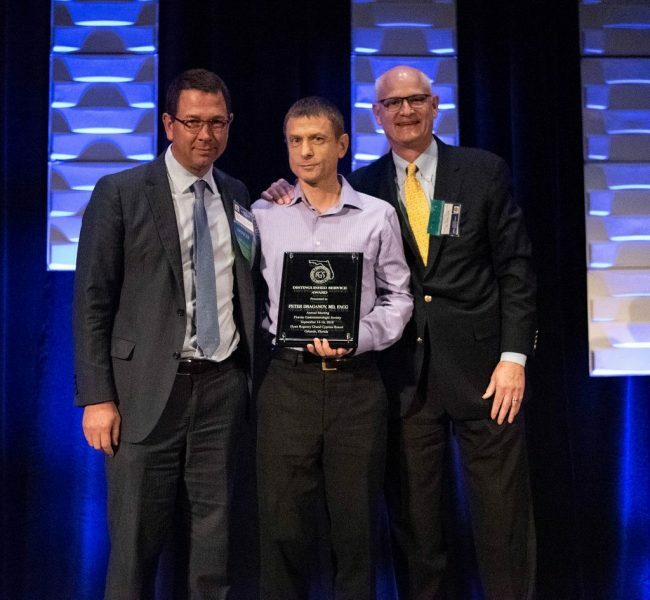 Dr. Peter Draganov receives the Florida Gastroenterologic Society’s Distinguished Service Award at the FGS 2018 Annual Meeting, September 14-16, 2018, at the Hyatt Regency Grand Cypress in Orlando. The Distinguished Service Award honors a Florida gastroenterologist whose accomplishments (clinical, academic, educational, socioeconomic and humanitarian) made a significant contribution to Gastroenterology with the state. Congratulations to Dr. Draganov! Read more about the Florida Gastroenterologic Society here.